The ScanMaker s460 is a high-resolution with elegant piano black crystal surface stylish scanner for SOHO or home users. By adopting state-of-the-art exclusive ColoRescue™ technology, enables you to restore faded photos or film to their original brilliance with just one click. With the brand new chic design and precision scanning technology, ScanMaker s460 is the premier scanner fits all your needs. 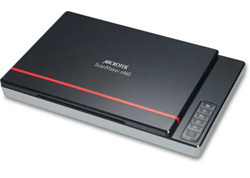 Microtek’s XT3300 is a versatile, cost effective, convenient, and innovative solution for scanning books and bound materials. With the XT3300’s patented Zero Boundary design, it is easy to eliminate the problem of scanning bound pages with text and pictures close to the inner margin of a book or magazine. The XT3300 maximums the productivity by its fast scanning speed, which is less than 3 seconds for color scans at 200 dpi. The XT3300 is ideal for all libraries, copy rooms, students, teachers, universities, SOHO, law offices, and publicists where productivity and quality are critical to success. COPYRIGHT (c) 2010 MUSTANG COMPUTER TECHNOLOGY LIMITED ALL RIGHTS RESERVED / ALL REGISTERED TRADEMARKS ARE THE PROPERTIES OF THEIR RESPECTIVE OWNERS.